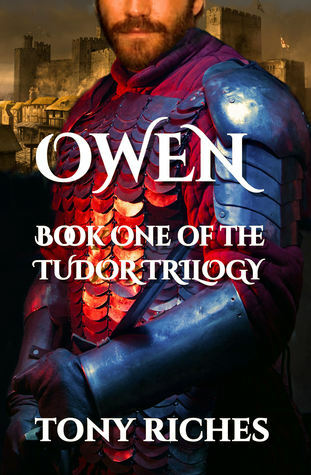 Owen – Book One of the Tudor Trilogy is a new addition to story of the Tudors in the historical fiction tradition of C J Sansom, Conn Iggulden, Philippa Gregory and Hilary Mantel. Over the last few years I have read many historical-fiction novels that deal with the various monarchies throughout Britain’s long history. It’s stunning the amount of turmoil that surrounds whoever occupies the throne. Even such redoubtable rulers like Richard Lionheart, and Henry VIII had to deal with treacherous nobles asserting their claim to the crown. In this tale, the first in The Tudor Trilogy, Owain ap Tudur, a Welsh servant known to the English as Owen Tudor, in an emotionally charged, and fateful twist of fate begets the royal Tudor line. Now the manner in which that happens is a bit of a spoiler, so, I will not divulge that particular bit of plot. However, that plot line is a good example of how resilient, and resourceful Owen becomes; necessary because of the enmity he causes by his actions. Owen is a survivor and the author provides ample opportunities for him to succumb to failure or depression.